Young men in El Salvador have been celebrating a religious festival by throwing fireballs at each other in the streets. 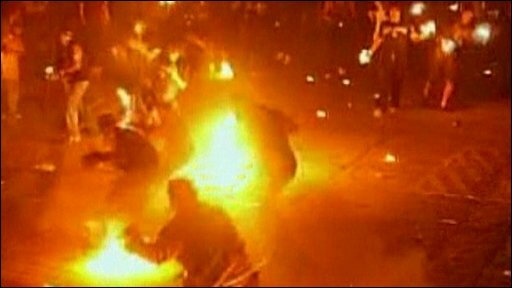 It is part of an annual tradition in the town of Nejapa, where men from opposing teams hurl flaming fuel-soaked rags at each other. The festival marks a huge volcanic eruption in 1922 that forced all of the residents to evacuate the town.